Last night was brutal, and this morning I had a burst hot water pipe. I had left the water running too. 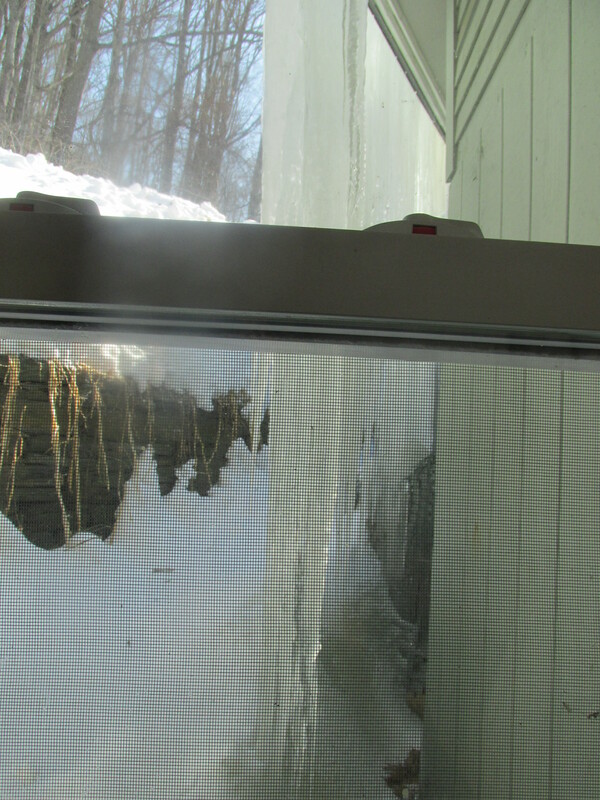 Ice dams abound on the house. 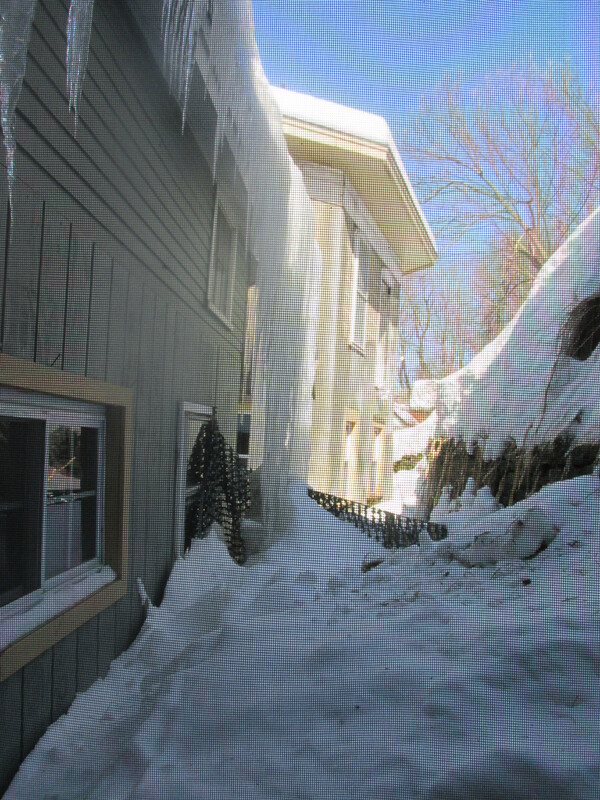 The picture below is of the back of the house where ice always collects in the winter. David had to come over and dig out my dryer vent I had dug it out from the last storm but the winds put 2 foot drifts over it and the snow was piled up against the door out. I will have to put a board there or something next year. Up to 8 inches is expect from noon today to noon tomorrow. SOme parts of Massachusetts may get rain at the end they say not here and I truly hope so or there will be flooding in the barn. This has been a wild winter. Chris has got the sand bags up in the back and I hope today I can place them so the big melt from the mountain won’t enter the barn. 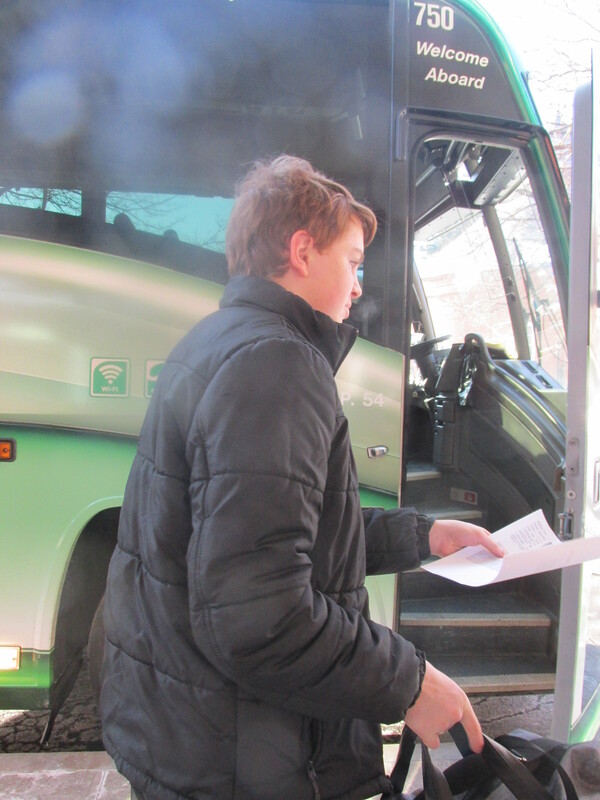 Chris left yesterday and by this time today he should be ice fishing on Dudley Pond with his friend Alex. Good luck. He finished cleaning the barn and brought those heavy sand bags up to the back of the barn. Thanks Chris. The plumber came. Its’s a two-man job something he did last year so he did a quick fix and then he will be back on MOnday. But later in the day when I went to refresh the chickens water I found that I had no water in the house. My Son will see if its something I didn’t turn on or he put a fix on the whole system. I need water to run the boiler so if it’s the later he will have to come back. 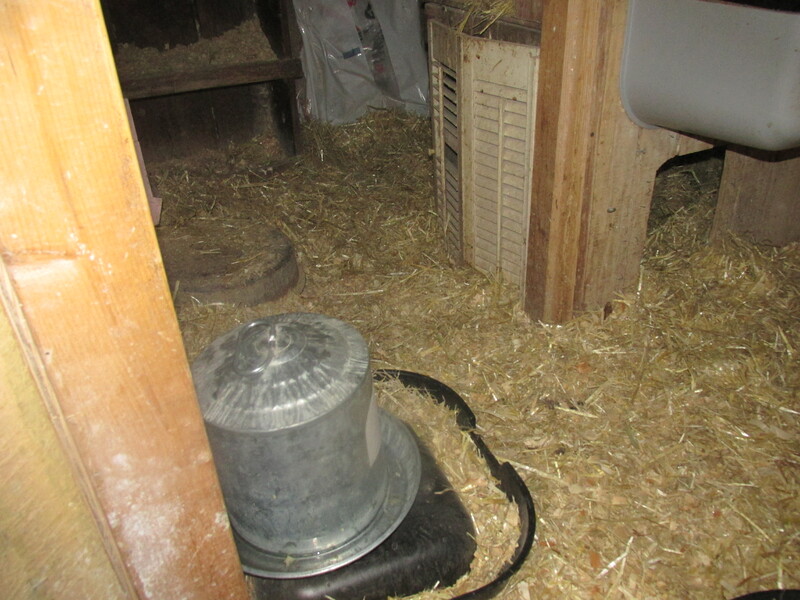 I put new shavings in and then covered them with a good layer of straw. Everyday I will turn under the straw and add more as needed. I tried this once before but used hay as recommended. It really didn’t work well as hay gets wet easily and it made a stinky mess.. Straw is much better for this deep method and will compost nicely.